Contacting The Child within us: We were all once children, and still have that child dwelling within us. But most of us are unaware of this. Home » feeling » like the rest of us » sensing » The Child Within has been trying for centuries to convince us they are » thinking human beings. » The Child Within has been trying for centuries to convince us they are, like the rest of us, sensing, feeling, thinking human beings. The Child Within has been trying for centuries to convince us they are, like the rest of us, sensing, feeling, thinking human beings. Title: The Child Within has been trying for centuries to convince us they are, like the rest of us, sensing, feeling, thinking human beings. The Child Within has been trying for centuries to convince us they are, like the rest of us, sensing, feeling, thinking human beings. Struggling against thousands of years of ignorant supposition that newborns are partly human, sub-human, or not-yet human, the vast majority of babies arrive in hospitals today, greeted by medical specialists who are still skeptical as to whether they can actually see, feel pain, learn, and remember what happens to them. Physicians, immersed in protocol, employ painful procedures, confident no permanent impression, certainly no lasting damage, will result from the manner in which babies are received into this world. Labels: feeling, like the rest of us, sensing, The Child Within has been trying for centuries to convince us they are, thinking human beings. Contacting the child within is a process of diverting one's scattered forces into one powerful channel to the centre of your being. Distracting ourselves from our suffering. Follow Fraser's board THE TEN STAGE RECOVERY BOARD on Pinterest. 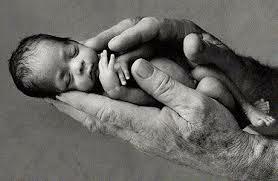 Gentle contact with the child within. Our child within has often been ignored or banishes for a considerable time span. We need a child within who can adequately translate the needs behind our cries…and our coughs…and our silences. Understanding is love’s other name. and have limited voice for feeling states. and still have that child dwelling within us. and then they have a chance to transform. and we are not going to have fun. Awakening to the truth is a deep realisation of what you are as an experience. 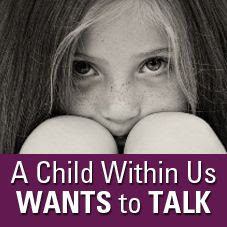 Contacting our Child Within to ground ourselves from the feelings of dissociation. Dissociative learned behaviour is a result of long-term abuse. Everything we need is already here. frightened and frozen child within us. frightened and frozen child within. In our recovery journey to find our wounded child within we need to create loving-kindness for our child. It can be scary to change - but boy oh boy is it worth it to shed our masks and show us our Child hidden Within. Maybe we should develop a Crayola bomb as our next secret weapon. A happiness weapon. A beauty bomb. one that is the direct descendant of the child we once were. our child acts. This is meditation. Our child within often has a complex disrespect history may be easily triggered or “set off” and is more likely to react very intensely. Our child within once released has an incredibly rich inner life. Our false self has convinced us that we need to overcome the world as our false self sees it. our imaginations balanced by careful observations and compassion. our life starts to change around. Our path to recovery is a deep and beautiful process because we are no longer running away from afflictions that have rendered us dysfunctional in life. phone calls or social media. Practice doesn’t make perfect – but meditation might. That a decision that life was not worth living it was something to ‘get through’ as smoothly and mindlessly as possible until we could die. The authentic self is the Child Within made visible. The death rate for our child within? The energy of GATZO is the salve that will recognise and heal the child within. But how do we cultivate this energy? The process of meeting our child within requires courage. To stand alone in true solitude is to stand in the recognition of the absolute completeness and unity of all manner of existence. Unfortunately or fortunately depending on your stance pain and a certain amount of suffering are byproduct of the stages growth process. We are wired to survive; which means we seek to avoid pain instead of choosing to feel good. We need to develop a loving relationship with our child within. We need to hear their voices the children within. we relax and feel calm. what the child within causes us to do is abandon ourselves. When we surrender our will to that of our child within - we begin to walk the path of our recovery. First Contact with The Child Within © . All Rights Reserved.